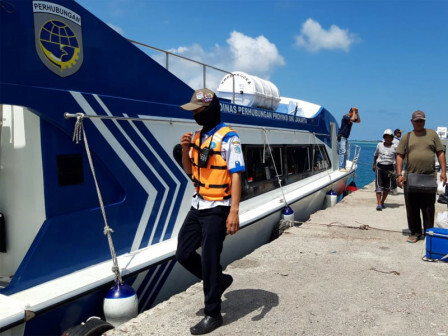 Jakarta Transportation Department (Dishub) operates six boats to serve three routes from North Jakarta to three inhabitant islands of Thousand Islands. Those three routes are Muara Angke Port - Tidung Island Port, Muara Angke Port - Pramuka Island Port, and Muara Angke Port - Sebira Island which are served with two boats per routes.
" These routes have been operated since March 2019"
Dishub's Marine Department Head, Renny Dwi Astuti mentioned, those boats are heading directly to the destination. "These routes have been operated since March 2019. Each boat has capacity of 48 people," she informed, Monday (4/15). She conveyed, boats start to depart at 8 AM. Boats heading to Tidung Island and Pramuka Island are departed once a day. But for Sebira Island route, her side only provides two departures in a week, on Wednesday and Saturday. Whereas sea transport service for the reverse route is held on Thursday and Sunday. "Per trip, it costs Rp 50 thousand both for Muara Angke Port - Tidung Island and Muara Angke Port - Pramuka Island routes. While Rp 70 thousand for Muara Angke - Sebira Island route. It costs the same for the reverse routes," she explained.